Previous PostHow to Free Yourself From Google's Mobile Transcoding Services in 5 Days or More.Next Post"Bling For Your Blog"
I love QR codes and now that WINKsite has given me an easy way to create a content rich mobile site, in addition to having a QR code on my business card I’ve now included it as part of my photo on my homepage and the photo I will use across other sites. Killer reference Andrew. Thanks. 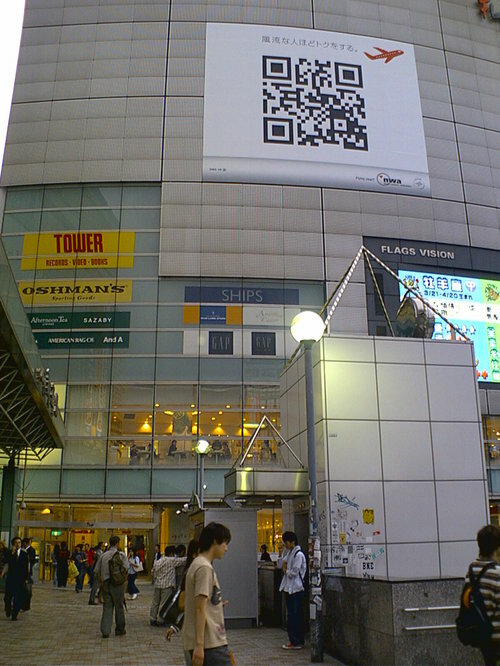 Noticed the size of the QR Code you chose to embed in your photo (http://hq.andrewshuttleworth.com/andrew_shuttleworth_photo.jpg) – i assume that small size worked on your keitai (phone for US readers). I’m curious – what is the resolution for the camera you used? US market is mostly 1.3/2.0 at the moment. The 3.0/3.2 mega pixels camera phones are being released by carriers here in the US next quarter. I’m using a D902i which has a resolution of ‘2 million pixels (4 million recorded pixels)’. http://www.nttdocomo.co.jp/english/product/foma/902i/d902i/index.html. The first phone I had with QR code reader was a Sharp a year or so back and was terrible, but these days they same to be much better. Would be interested hearing if anyone has trouble reading the code. I am a little baffeled at to why your blog would not post or incorporate the mobile platform qode in your write up. Neomedia now has a new code reader dubbed, NeoReader. I am a little surprised to not see you covering their moible application. 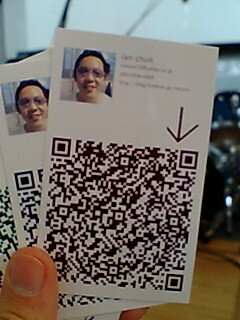 From what I have heard the NeoReader will read more than just QR, datamatrix and 2D codes to get to content in one click. I for one do not want the bar code reader providers becoming points of failure to decoding or portal/gate keepers to the content or services at the other end of open standard mobile bar codes. ONLY a universal reader that optionally delivers the person scanning the code to the intended encoded URL – DIRECTLY and without INTERCEPTION is acceptable. MobileBarCodeCamp is bringing together mobile enthusiasts, explorers and professionals in North America to share the current state and their visions for the future direction of mobile bar codes and other cellphone-readable physical hyperlinks. MobileBarCodeCamp hopes to support the many voices helping to unlock the potential of a hyperlinked first life. Topics may include – but are not limited to – mobile code formats, mobile code readers, mobile gaming, mobile web sites, entrepreneurship, social mobility and presence, near field communication, physical hyperlinking, the importance of open standards, protocols, and platforms, and mobile bar code usage on other continents.